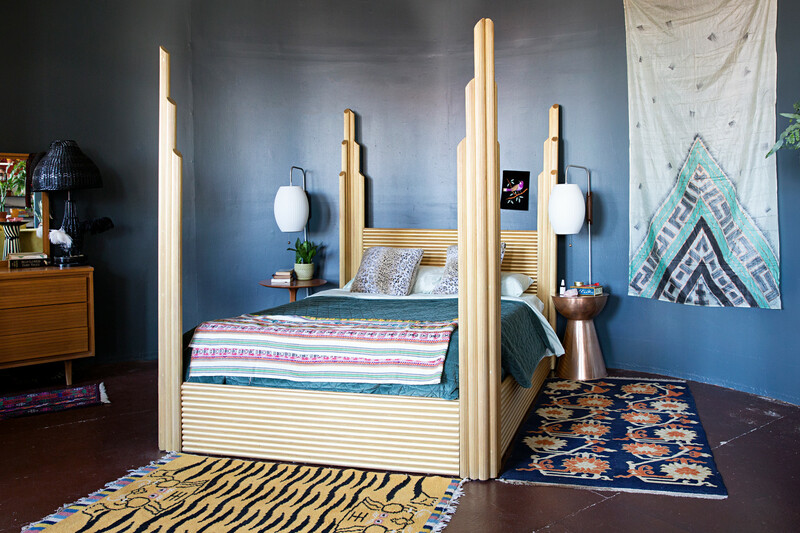 Savannah Yarborough's vintage bed is framed by Herman Miller lamps. Photographed by Caroline Sharpnack for Lonny. Rugs and furniture pieces help divide the open space into styled vignettes. Have you ever seen a room and felt like it was a collection of all things cool you could ever want in your life? Well take a step into the home of Savannah Yarborough. 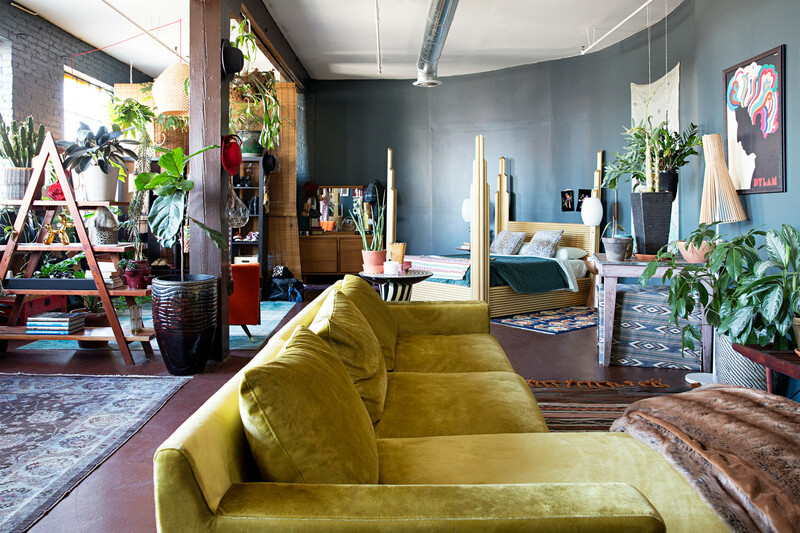 The Nashville-based fashion designer has a jaw-dropping pad that feels like a livable vintage store that you would buy out if you had the option. The open space flows organically with beautifully styled nooks and vignettes to create intimacy within the space. 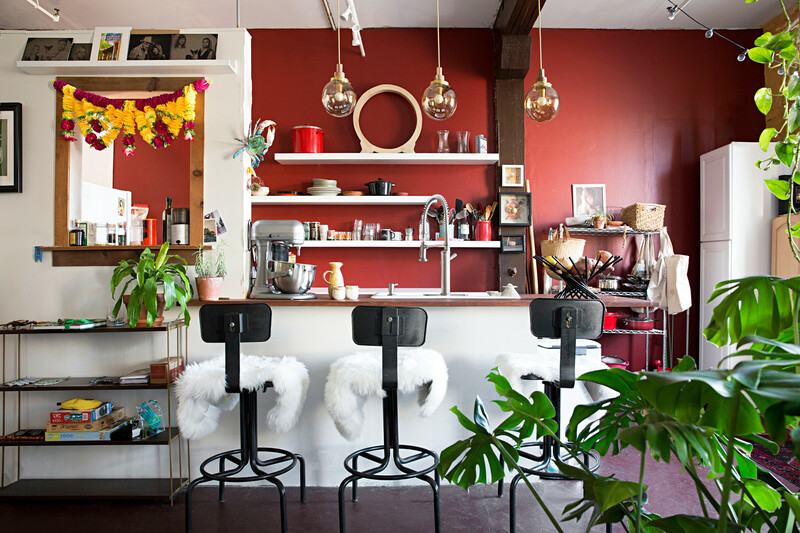 When Yarborough defined her decor style as "collected eclectic," we just nodded our heads in agreement. As the designer behind AtelierSavas, Yarborough has made a business selling bespoke leather jackets and handbags sourced from hides and furs from around the world. Influenced by her Southern roots and studies in London at Central Saint Martins, the creative's creates unique looks that blends her killer style with the spirit of her clients. However when it comes to her home, the look is all her own. 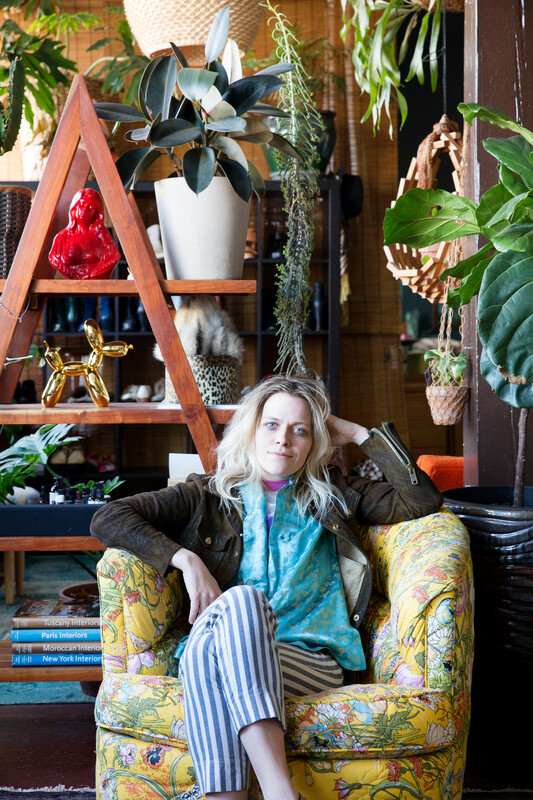 "I believe that you shouldn’t buy anything that you don’t absolutely love," shares Yarborough. 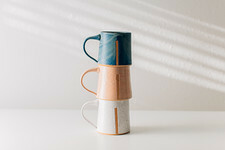 "I am particular about pieces that are welcomed into my space and don’t usually make fleeting purchases. I don’t always have the perfect spot for something that I love, but if it’s that good, it makes its own spot." While she may be selective, clearly the designer has found plenty of amazing finds. Brick wall and deep indigo paint provide the backdrop for her bedroom and a few sectioned off nooks in the largest room of her apartment. 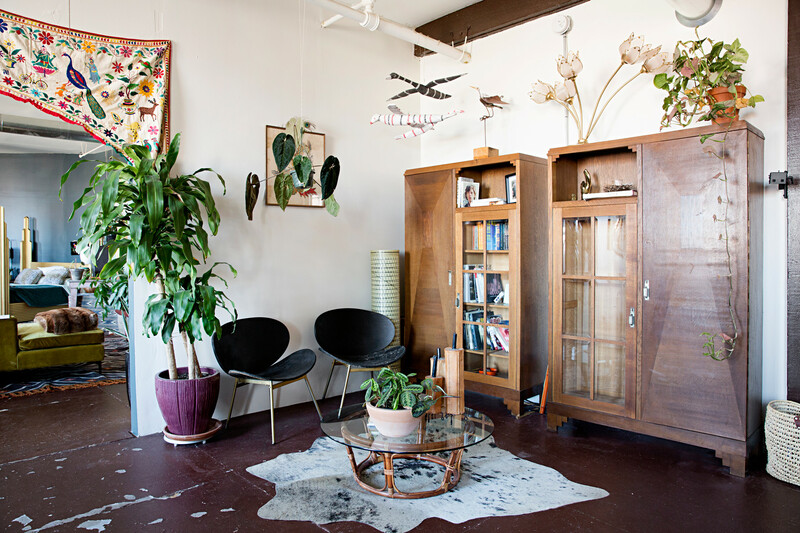 Each space has its own style with a wide collection of cool vintage decor pieces and plenty of plants. "I don’t have rooms per se, but I really love my 'formal living area' in the mornings. I spend a lot of time in the yellow chairs, thinking and solving the worlds problems," Yarborough says. "It gets the best light, and you can hear the city coming to life in the mornings." Breaking up a large open space can be tricky, but the designer relies on her historic building's bones and some strategic styling to pull it off. Savannah kicking back in a vintage floral swivel chair. "My space has large beams, which really serve the purpose of defining spaces," explains Yarborough. 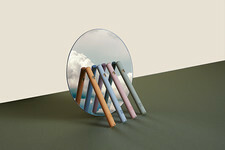 "It’s important to define these spaces with rugs and other large pieces which can make them feel a bit more separated." A cool styling idea we are definitely going to steal? Using a vintage A-frame shelf to break up a room and let the decor be displayed on both sides. "None of my 'rooms' were really planned, but as time goes on, each item moves around until I find the spot it was meant to be in," she says. A few key pieces in her main room that stand out include a gorgeous mustard Rove Concepts sectional and of course, her incredible vintage deco bed frame flanked by Herman Miller lamps and wild rugs. "My bed was originally natural polished bamboo, and I painted it with gold metallic paint to give it a new life," she adds. A cool seating area filled with all of the designer's vintage finds. Yarborough's bright kitchen featuring Southern Lights Electric pendants. While this cool room might have some incredible vintage faux blooms, it's hard to ignore the plethora of plants throughout Yarborough's home. When asked what the greens in her space meant to her, the designer replied, "Life! Living downtown in an over 100-year-old warehouse, the air quality needs to be purified. Since I spend a lot of time indoors, it helps to have my own personal yard." She adds, "Also, it gives me something to take care of, which I really enjoy." With such a historic home, there definitely had to be a few changes to the space to give it a modern feel. "I worked with Adam at Southern Lights Electric to design my amber glass pendants with gold wiring in my kitchen and I installed a new kitchen with wooden countertops and a farmhouse sink to update the 'dated loft' look," Yarborough explains. "This building has such an awesome creative history — tenants over the last 30 years have added and changed apartments, making them interesting and sometimes a bit weird! My apartment was actually a photography studio for awhile, hence the round wall behind my bed," she says. "It’s a wonderful place to live and work, and I can’t imagine where else I would live in Nashville." 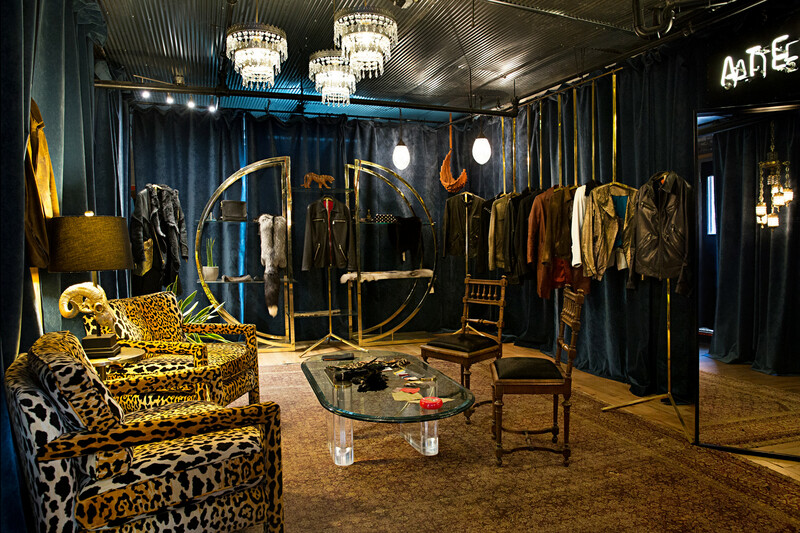 A look into AtelierSavas's glam rock space. One of the perks of her location? Yarborough's store AtelierSavas is just on the floor below. Between her incredible custom jackets, moody draped walls, chandeliers, and gold Milo Baughman shelves, the space is a total glam rock haven. "I love it! I keep a really separated lifestyle, and don’t take any work up to my house," the designer explains. "Even my leather jackets stay down in the shop. It is so convenient that I find it difficult to ever leave the property! It’s so nice being able to pop upstairs for lunch or an afternoon nap!"